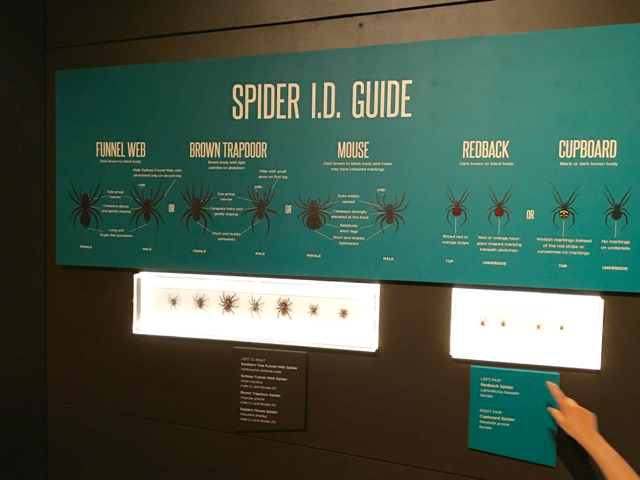 Little Miss and I recently visited Spiders - Alive & Deadly at the Australian Museum in Sydney. This large exhibition space opened in late October and features over 400 real specimens from the Australian Museum’s extensive Arachnology Collection including Redbacks, Tarantulas, Huntsman, Golden Orbs, Wolf, White-Tails and Trapdoor Spiders and is also be home to 15 live spiders. 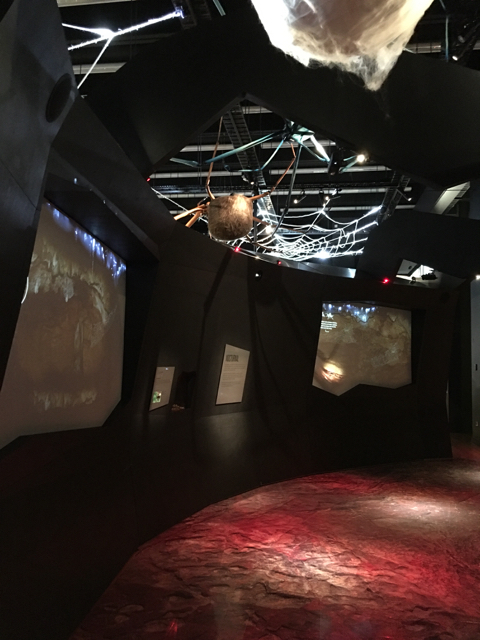 As you enter the exhibition, you are invited to interact with computer generated spiders - cover yourself in spiders, walk on them or chase them ! 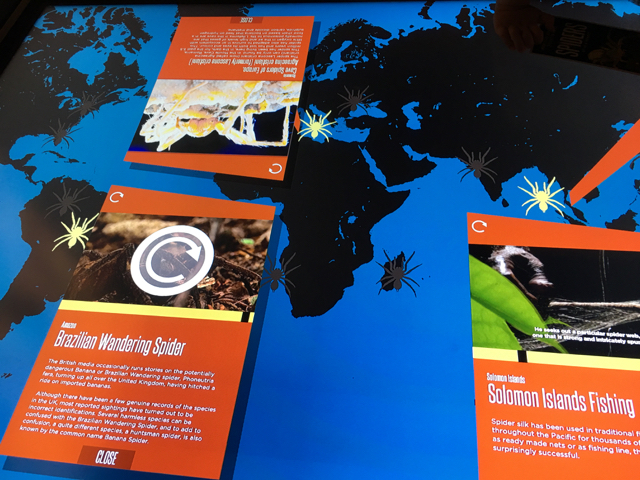 This large exhibition invites children and carers to learn about key spider characteristics – venom, silk, where they live, how they hunt their prey, how they have adapted to the changing environments and the critical roles they play in our ecosystem as well as what to watch out for in their own backyard. Little Miss was a bit taken by some of the spiders as we walked in but I reminded her that most of them are not alive so she relaxed. The exhibition introduces different species gradually so she liked looking at each one as well as live ones. The exhibition is great for little scientists, spider-lovers and for children and/or adults who like to learn something new. There are a number of interactive areas throughout the exhibition where children can take part in little activities like bringing a 3D spider to life with special cards, identifying noises that insects and spiders make with an interactive quiz, looking up information about spiders of the world on interactive screens, a spider game near the milking lab, colour-in and set your spider into their habit and much more! 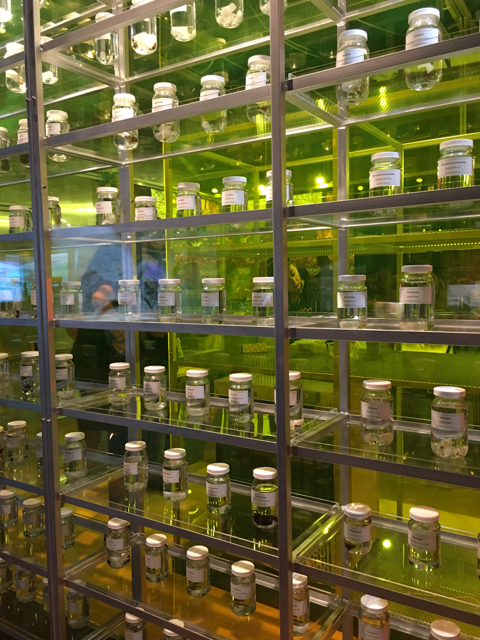 Inside the exhibition, there is an impressive Venom Lab where visitors can witness ‘venom-milking’ on a daily basis and observe jars and jars of preserved spiders! 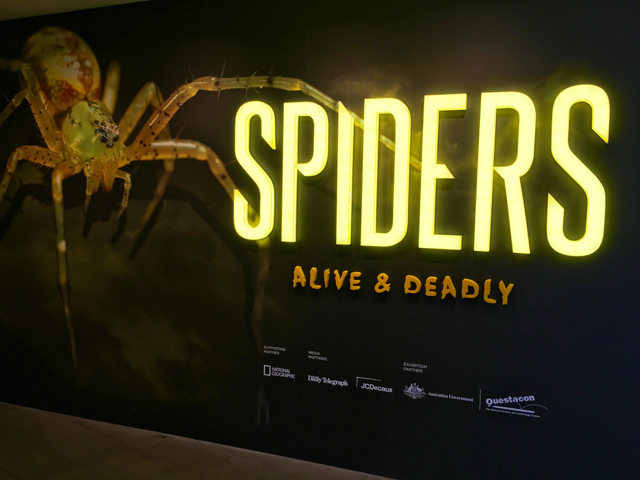 Visitors will be intrigued by the subterranean home of the ancient Tasmanian Cave Spider via augmented reality, experience the Golden Orb weaving spider up close, their huge webs in the cobweb room and be captivated by large groups of Australian Huntsman Spiders! 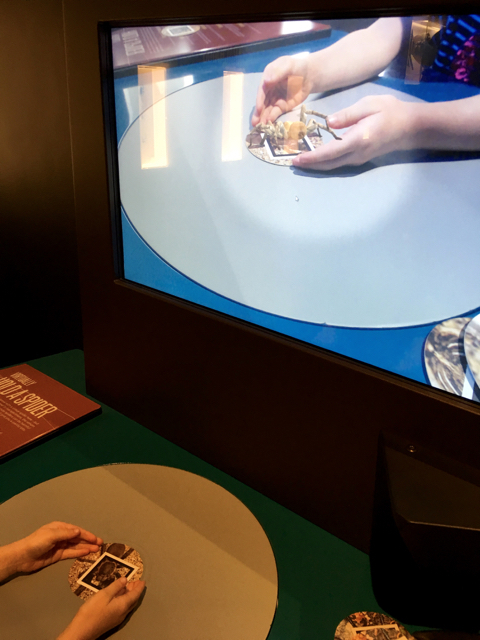 By the time the exhibition was coming to a close, little Miss was identifying Red backs, Huntsman Spiders, White-Tails, Sydney's Funnel Web Spiders and more! She enjoyed colouring-in her own spider and setting him free in his habitat which was a fun activity! Little Miss also loved dancing with the Peacock Spider (aka Rainbow Spider as she calls it) and loved a good shop at the Australian Museum's store and asking for a Spider to take home (thankfully the plastic version) - as you do after a cool Spiders exhibition! The Spiders exhibition is now open at the Australian Museum until the 17th of July 2017. For more information, head to the Australian Museum's website. The Australian Museum will also be holding Spiders inspired activities during these Summer holidays which we will be sharing soon so keep an eye on our Facebook or Instagram page. While you're there, checkout our top 5 things to do at the Museum - all included in your entry! 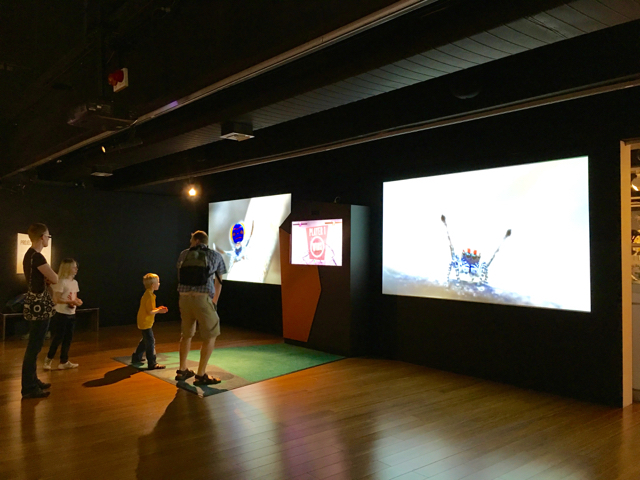 For more ideas on what to do with the kids around Sydney, head to our Daily Spots List or Blog.